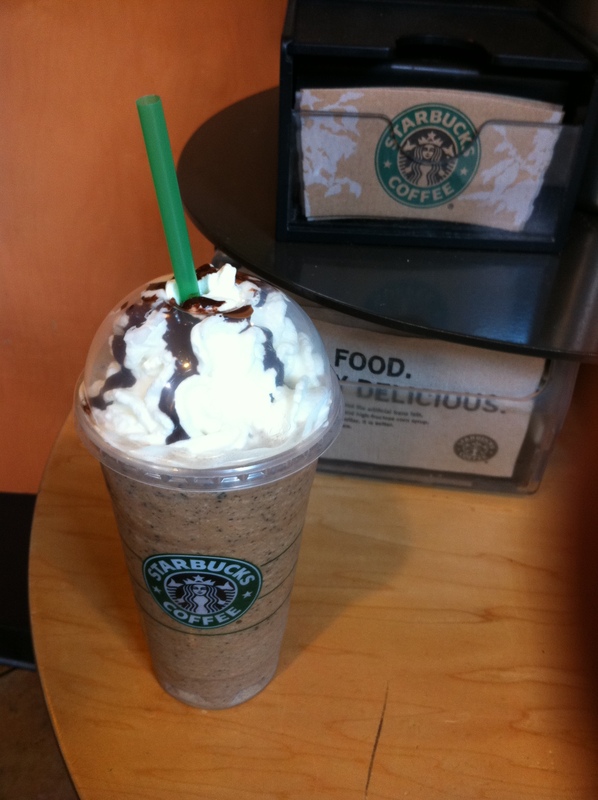 Starbucks – Great Designs and Free Drinks! I love Starbucks, not just because I’m a coffee addict or because I call Seattle my home, but because they are constantly working to create a better experience for their customers. I like that the aesthetics of the company embody their business statements and goals, reflected in the designs of their stores and signage, down to the smallest details on their cups and napkins. I appreciate and love their effort poured into new drink options, logo/graphic work, mobile apps, and most enjoyably, their Starbucks Rewards program. Along with the many perks of the Rewards Program itself, I always get a nice greeting postcard in the mail around my birthday month. 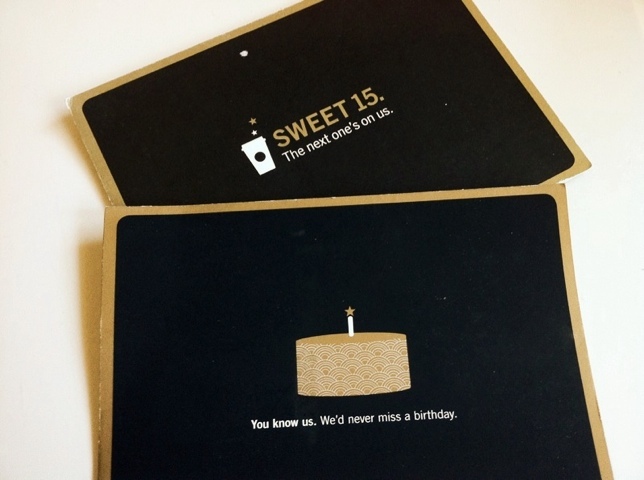 They not only wish me a happy birthday, but gift me any free drink that I desire. Mailing are rare these days due to the cost-effectiveness and less time-consuming efforts of sending out e-mails in its place, but there’s something sentimental and heart-warming about a physical postcard that really wins me over. 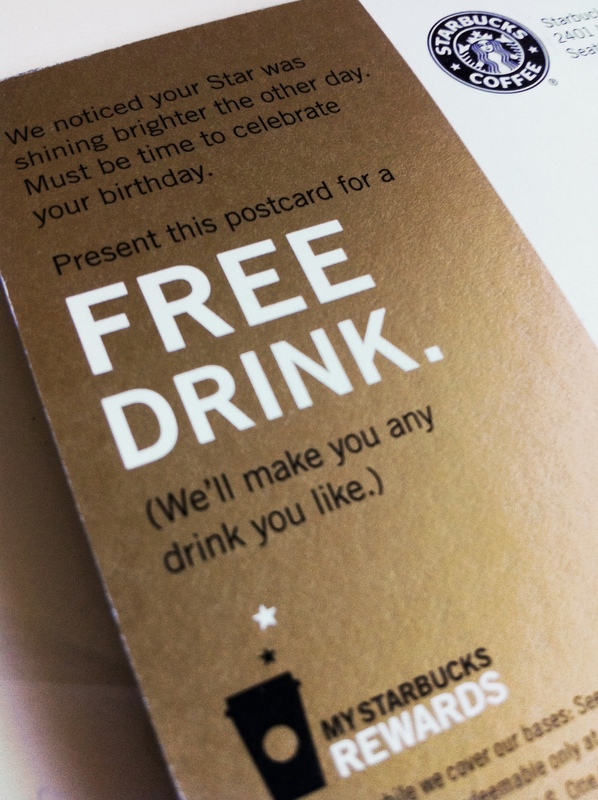 Although the free drink is a perk, I really enjoy seeing the designs on the card itself. I have 2 examples below, one for the free birthday drink and another for a free ‘you reached 15 stars’ rewards drink. Both graphics are simple yet playful and cheery. 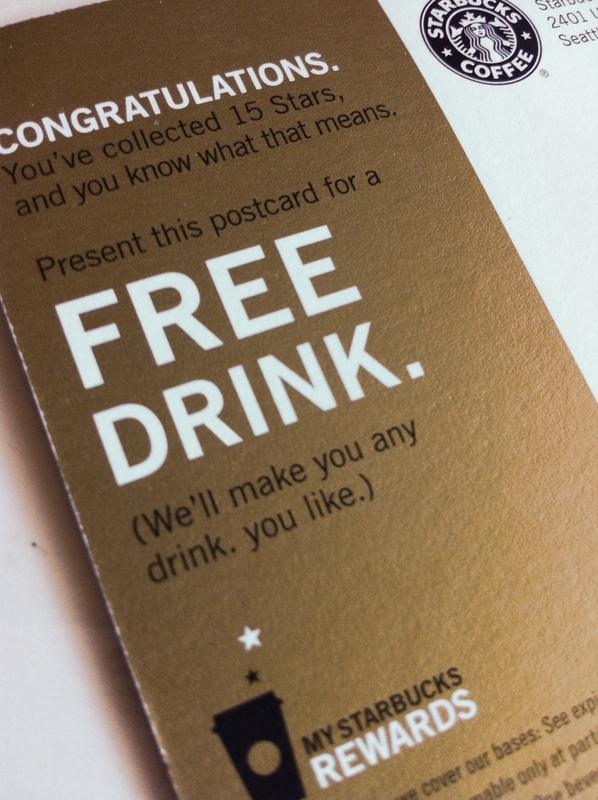 The recent mailings also have a soft, brushed-cotton-like texture on the front that it almost makes me want to give up the drink to keep the card…ALMOST. Their non-standard ‘fine prints’ are also fun to read if you ever receive one of these. As instructed, I ‘cheerfully handed’ the birthday reward over to the cashier this weekend for my JavaChip Frappuccino, shared with the BF. MMmMMm..delicious!! Up next, I will be attempting to use their new Starbucks Mobile Card iPhone app to upload all my Starbucks gifts cards that I accumulated over the holidays and pay for drinks! I want some coffee nowwwwww!